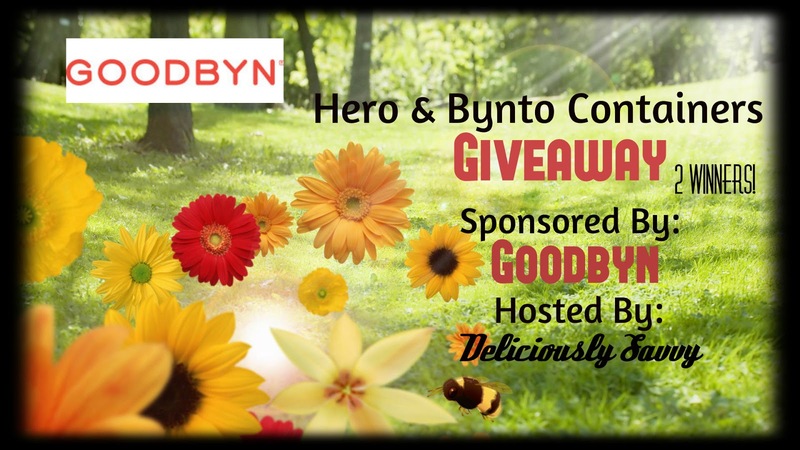 Deliciously Savvy is hosting a giveaway in which 2 lucky winners will each receive a GOODBYN Hero container & a GOODBYN Bynto Container in their choice of colors! There are a few other co-hosts, I am one of them! There was no compensation provided for this post. These containers are adorable and the perfect fun way to take a meal or snack with you anywhere! Total RV $44! Keep scrolling, and enter below! Any questions email host at mcushing7 (at) hotmail (dot) com. If you have any questions or are a brand/company and would like to work with Deliciously Savvy please contact us.